Parental Alienation Syndrome. 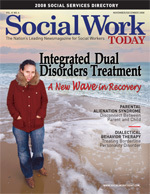 Social Work Today Article. My Comments: Look at the date on this article 2008!! Time to wake up people. This entry was posted in Tantrumé and tagged Amy J.L. Baker PhD, child abuse, divorce, Parent Child disconnect, Parental Alienation Syndrome, PAS, Social Work Today. Bookmark the permalink.